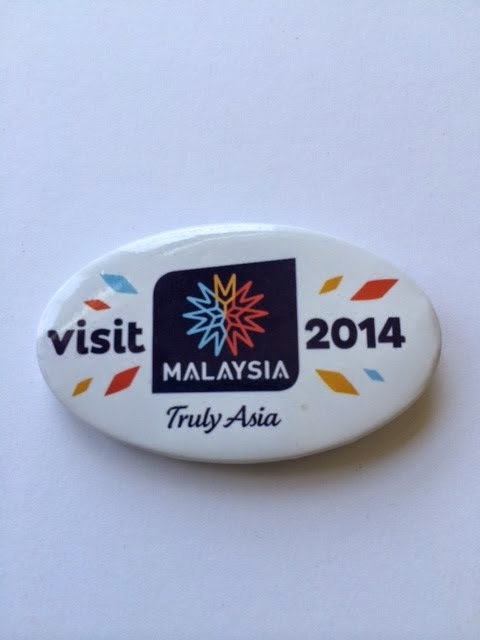 My sister gave me several promotional buttons that she picked up at a conference — one of them was to encourage people to “Visit Malaysia 2014”. When I say “Malaysia” what instantly pops into your head? I’ll bet if you are like most, the answer is “missing Malaysian Flight 370”. Being the head of the Malaysian tourism bureau is one job I would not want right now. The jetliner disappeared on March 8 and the search is still underway. Apparently the promotional campaign has been launched as well. My hunch is that saying that Malaysia is “Truly Asia” is not going to be enough to entice droves of tourists to head there. If the plane had crashed and been recovered as in previous air disasters, it would have little impact on future travel. But the sensationalism caused by the mysterious disappearance and the negative response attributed to Malaysian officials will take more than a booth at a conference to overcome. The time to think about your image and promotion is before a disaster befalls you. Have you established relationships with key members of the media? Do you have a strong social media presence that can communicate updates and messages in real time? Are your internal organizational members aware of who is (and is not) the spokesperson for your group? Have you earned trust and loyalty from your clients by treating them well along the way? I’ll bet if you asked the head of the Malaysian tourism industry what he wishes he would have done differently before the disappearance, he’d have a list of ways he could have been more proactive that would assist him now. Don’t wait for your plane to disappear before you put a messaging strategy on your radar. It’s coming up on a big year for the Super Bowl — Number 50. And since hardly anyone knows that “L” is 50 in Roman numerals, the NFL has decided to break their traditional way of numbering the big event in time for #50 in 2016. I think it’s a wise move. A half-century of Super Bowls is an event to commemorate and using natural numbers instead will lead to greater understanding (ok, and hype and branding — but what would the game be without that?!). Is there something in your organization that has outlived its value? Are you still holding on to a more traditional way of naming something? (Think of Blockbuster Video changing their name only after years of renting DVDs.) Could you achieve greater impact with a different name? Just because you’ve always done it doesn’t mean you should always do it. Look at your nomenclature with new eyes and see if there aren’t some L’s lurking in your organization. What I did not realize about the premium gas market is the wide variance in price between station to station. Whereas all the regular unleaded prices are virtually identical between national brands, regional chains and even independent dealers, the price of premium has no such consistency. Why? My theory is because the prices for regular are posted. Each station has the basic price on giant electronic signs, but often the only way to know the premium price is to pull up to the pump. Thus the owner takes advantage of the premium user and figures they don’t compare. Where all the prices are posted: $3.69/gal for unleaded; $3.94 for premium — 29 cents a gallon cheaper! How does your organization operate? Are you like Dealer 1 who keeps information hidden and uses the lack of transparency to your advantage? Or are you more like Dealer 2 that posts the facts for all to see and decide? There is an honorable way to conduct business — and then there is the other way. Don’t make your clients pay a premium for your lack of transparency. My mom has never heard of Facebook; couldn’t even comprehend Snapchat and more often than not the phone goes to voice mail instead of her. So I write her a postcard — every day. I am sure she enjoys the mail and tidbits of my life, but I think that I am the one to benefit most from the exercise. Since I already wrote about what I did yesterday and I can’t write about tomorrow (or what will I say then?! ), the daily nature of the activity keeps me focused on the present. Writing the postcard gives me five minutes each day to reflect on what I did today and time to consider whether it made an impact. Think about what you do daily that can give you cause to pause. A gratitude journal. A thank you note. A yoga position. A diary. Or a postcard — to your mom, a service member, a senior citizens home or just about anyone you want to make feel lucky. Many people work best in stages A to G — as in Gee Whiz! Once the idea is defined, they are ready to move on and let someone else do the implementation. That would be fine, but often that stage involves a lot of grunt work and figuring out the details of how to make something happen. Everyone likes the glory and the excitement that is created when something is new, but not everyone has the talent or temperament to see it to completion. Then there are others (like me) that derive great satisfaction from finishing. I have a necklace with a charm of a manual typewriter key. I chose the letter “Z” — as in A to Z — to symbolize finishing. I like the idea of checking something off the list and having it be complete. I like having a strategic plan that is measurable; a target that is met or not, or a project that is thought through enough that it can be delegated to others and become part of the institutional fabric. A to G is the question mark phase; H to Y is the comma that can go on forever and Z is the period that makes it a sentence. Don’t leave your ideas dangling like a grammar lesson modifier. Push through until the end and earn that Z. At an outdoor concert, there was a man circulating a petition to keep dogs out of the city parks and off of city trails. Those signing his request were of an advanced age such that it was unlikely they would be out hiking with Rover. I declined to sign and he moved on without any conversation. His goal that evening: quantity instead of quality. If he had engaged in a conversation, I would have shared that I am a huge dog lover and someone who would be delighted to have the ability to take my four-legged friends more places with me. However, I agree with the arguments about having dogs in city parks. The irresponsible owners create hazards that could impact children, and I can understand why the canines are prohibited. Why they can’t go on trails makes absolutely no sense to me, but the petition did not allow a means of splitting the question. I think politics and many organizations have devolved to a point where there is no discussion. Everything is reduced to a “yes” or “no”; an “us” or “them” vote that puts people on opposite sides instead of common ground. At a workshop I attended, Sr. Margaret Carney advised us to “always first create conditions for conversation.” That is often harder to do than it sounds, but it is where true leadership emerges. The next time you encounter another person’s view, seek to expand rather than limit your understanding before you decide. I was cleaning my makeup brushes this weekend and rinsed them well with water. All the color appeared to have been washed out. Then I applied a dab of soap and suddenly the water was a solid flow of flesh colored water. Whereas moments before the brushes seemed clean, with one tiny addition they proved to be otherwise. You can replicate this rudimentary science experiment when talking about change. A catalyst in an organization is equivalent to soap acting as a catalyst for the brushes. It doesn’t take much, but the right someone/something can have a major impact on what the outcome is. Maybe your catalyst is a consultant, a new employee, someone empowered, a new task force or strategic plan, or just the leader’s new emphasis on a process. Whichever way the extra influence is added, it’s certain to change what happens in the end.